A very popular course of two hours duration. 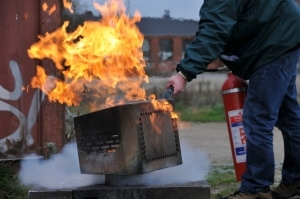 This course combining theoretical and practical sessions will allow staff to respond effectively in dealing with a fire emergency. 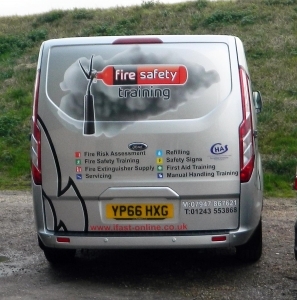 All delegates receive a comprehensive course manual and a course certificate. 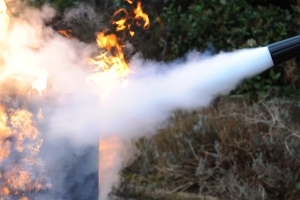 Everyone will be given the opportunity to use a fire extinguisher on a live controlled fire using our environmentally friendly fire simulation apparatus. 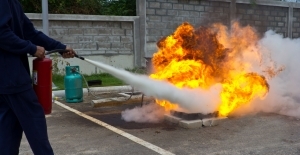 Not only will this course promote confidence in trained staff in dealing with a fire emergency it also ensures that employers are complying with relevant fire, health and safety legislation. 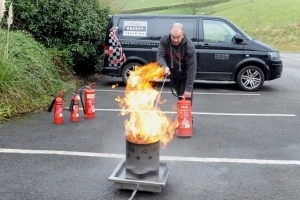 All popular types of portable fire extinguishers and a fire blanket demonstrated on realistic environmentally friendly fire simulation equipment. Delegates are invited to participate.